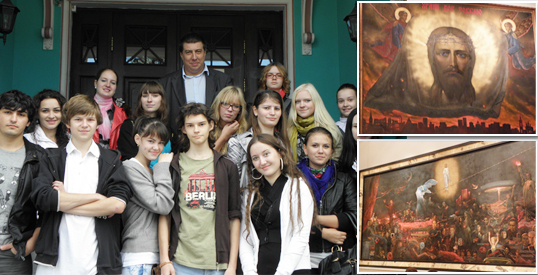 On September, 17, 2010 the students of the Institute for the Humanities and IT visited the gallery of the famous Russian artist Ilya Glazunov at Volkhonka Street. Ilya Glazunov is a distinguished artist, not single-valued by critics, but he managed to win the love of people who could see in his homily canvases a special form of service to the native land. The expositions of his canvases were repeatedly exhibited in the galleries of Russia, Europe and America.